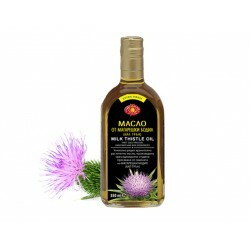 Milk Thistle oil - Zdravnitza has a favorable effect on liver diseases such as cirrhosis, hepatitis, liver fatty degeneration, etc. 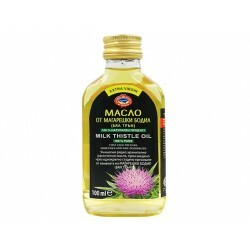 Milk thistle oil is a product of higher bioactivity and a unique natural composition of useful for our body substances. Milk thistle (aka Silymarin) is used in folk medicine for 2000 years, mainly for the treatment of liver and biliary diseases. 1303 Sofia, Bulgaria 74 Odrin str. 1000 Sofia, Bulgaria 22 Alabin str. "ZDRAVNITZA" is a registered trademark under the laws of the Republic of Bulgaria. Any attempt to copy the mark (logo, model work, information, etc.) Will be prosecuted to the fullest extent of the law!